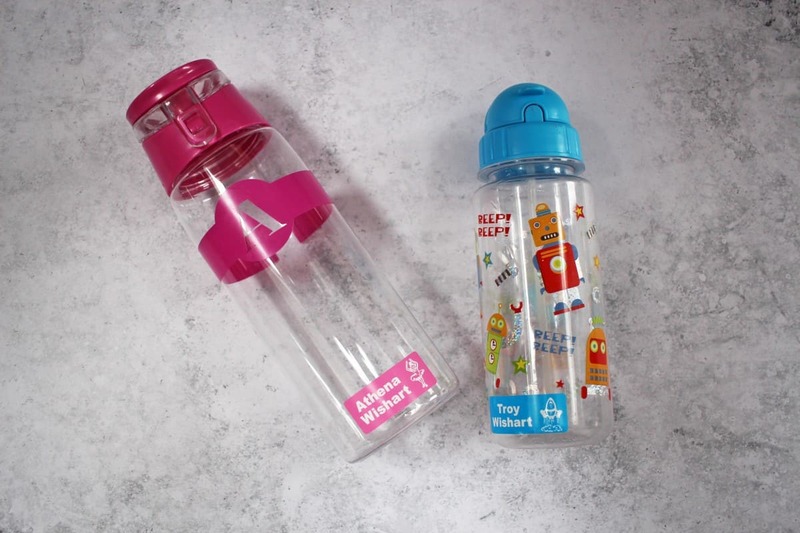 Since the children started school we have found it a constant battle to keep tabs on all their stuff – uniform, PE kit, book bag, drinks bottle… They both have so many things to keep track of that labelling them has become a priority – and that’s where Labels4Kids comes in. Labels4Kids have so many labels that you can fix to pretty much anything your children own, making them less likely to get lost or mixed up with other children’s things. Labels4Kids sent us two of their Stick on Labels packs which have pretty much got every angle covered. The packs contain everything you need to label shoes, uniform, bags and belongings. The labels can be completely personalised and the whole process is so straightforward and stress free. The children were able to pick what colour labels they would like, which image they would like on them and even what font to use – and the labels arrived really quickly too. Each pack contains shoe labels, small name labels, clothing labels and two bag tags. The shoe labels can be stuck in the heel of shoes and they have a protective sticker that goes over the top making them nice and secure whilst the children are running, jumping and splashing in puddles! 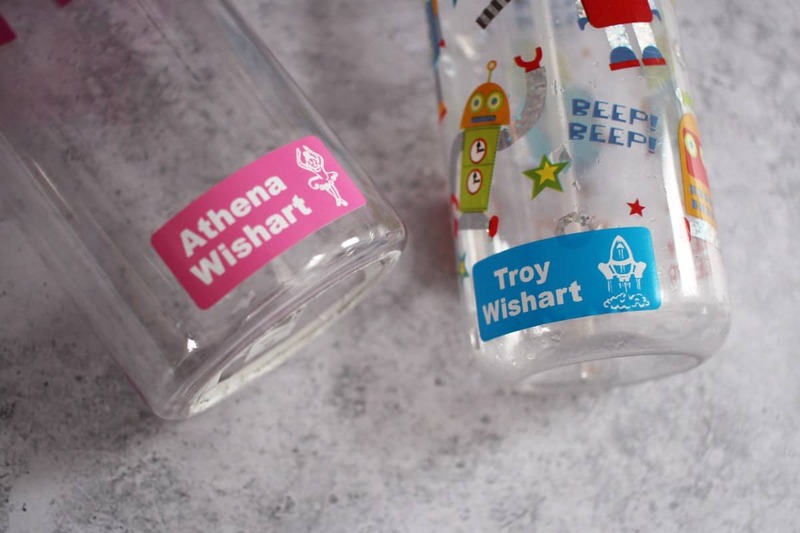 The small name labels can be stuck on any hard surface so they are great for drinks bottles, lunch boxes, pencil cases, glasses cases and anything else you can think of. They are dishwasher and microwave safe and wear so well – we haven’t had any fade or come unstuck since we started using them. Clothing labels are amazing. No more sewing or ironing labels on or writing with a marker pen. 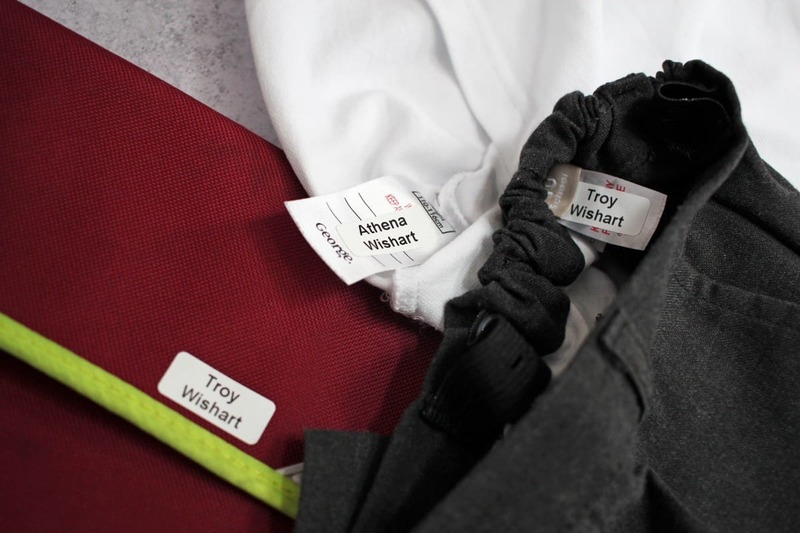 The labels stick directly onto the washing directions label in any items of clothing and stay in place through the wash. We haven’t had to replace any labels and it makes the whole labelling process so much easier. 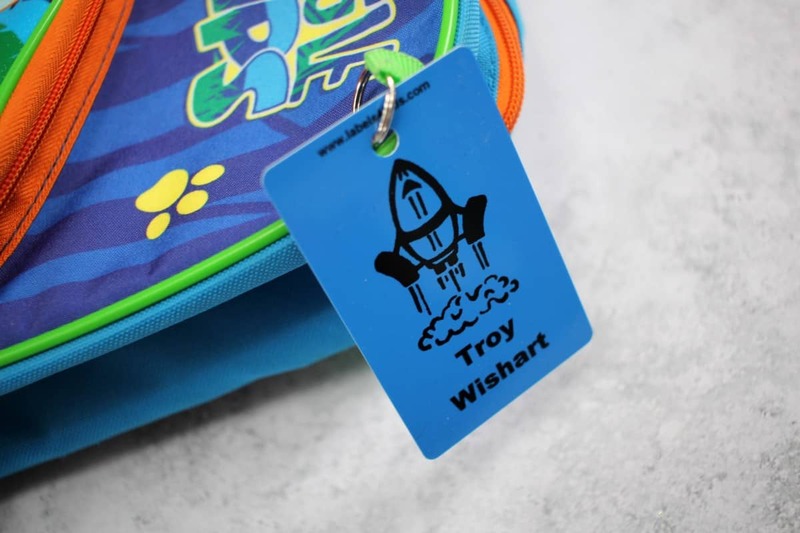 The bag tags are keyring style and fix easily to the handle of book bags or onto backpacks or kit bags. They are really durable and hard wearing and Little Man loves the new rocket on his bags! I love Labels4Kids and even more so when I saw the range of images that you can add to the stickers and tags. They have icons to show things like gluten or egg free or that the child has a medical issue and carries a medic alert. This is great to see and is just one more way to raise awareness of conditions and make sure that accidents are avoided. The labels are also big enough for two lines of writing so you can add a class name or any extra information as well – as long as it fits within 18 characters on each line. 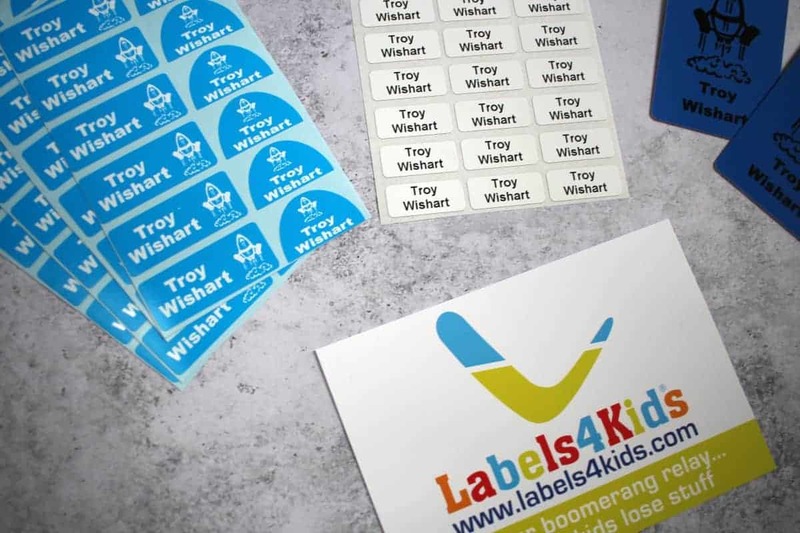 The Labels4Kids range works really well and the packs are a great size – easily labelling a whole school year of uniform and belongings with one pack and having spares to use through the year too. This makes the packs great value and definitely an investment worth making if you have school age children. I need these in my life! I currently use biro (when I remember) which does not work well at all!